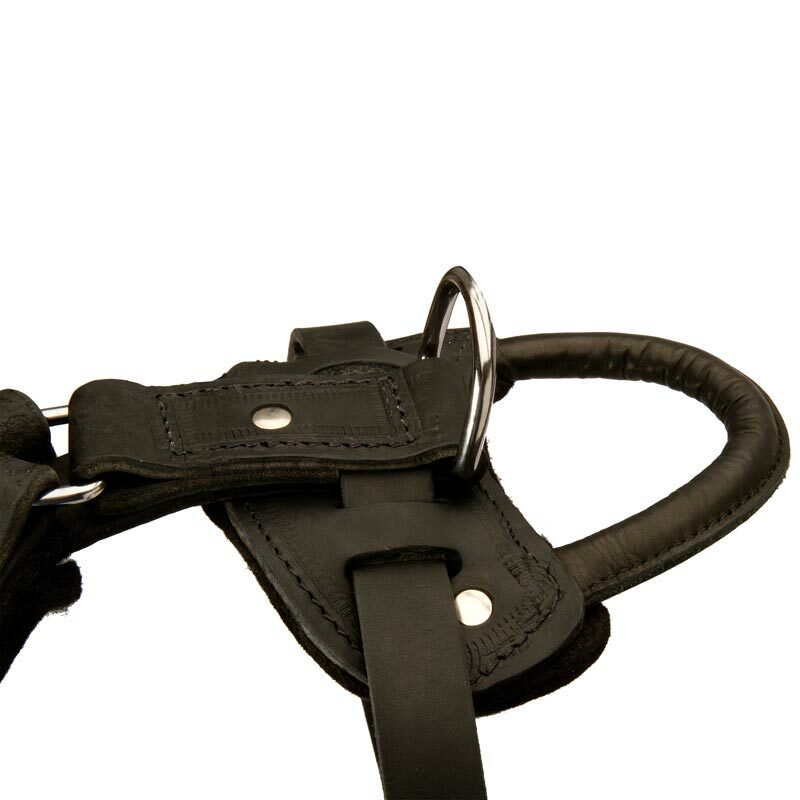 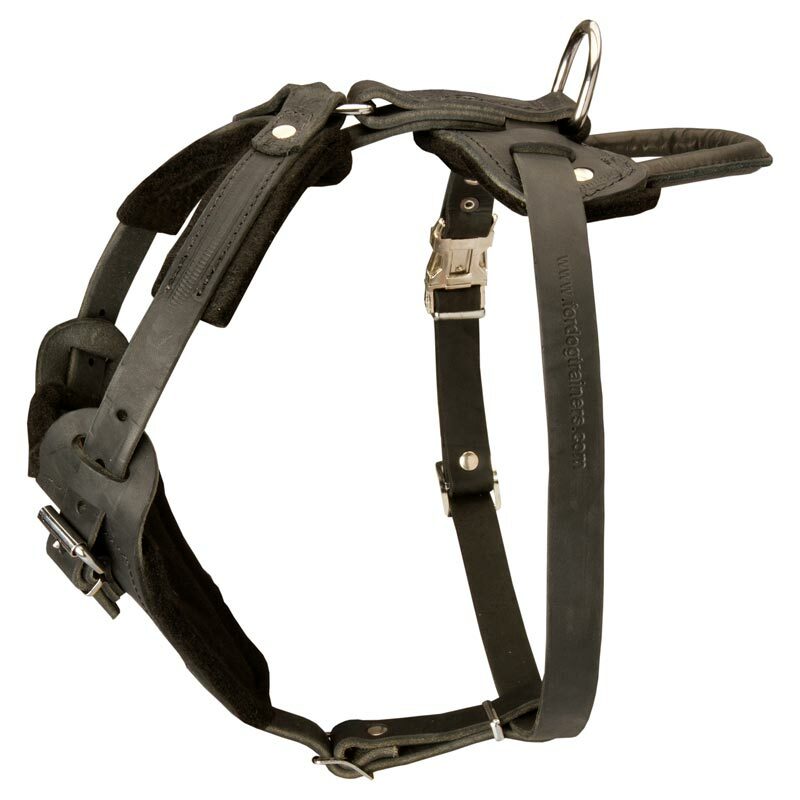 This Harness is manufactured of 100% full grain genuine leather and is perfect both for everyday walking and attack/agitation training. 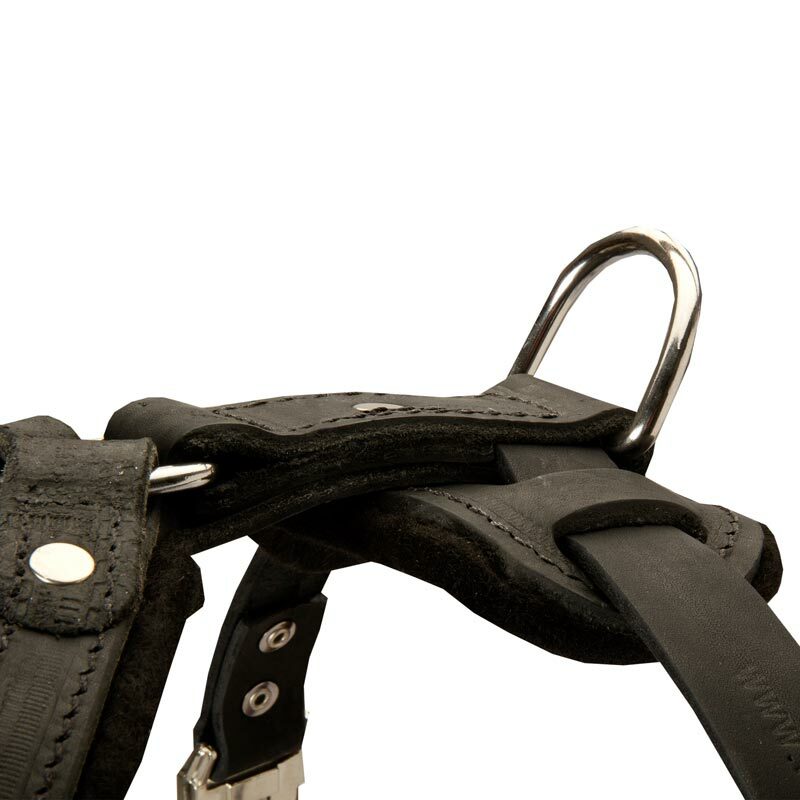 It is expertly crafted to provide maximum strength and durability. 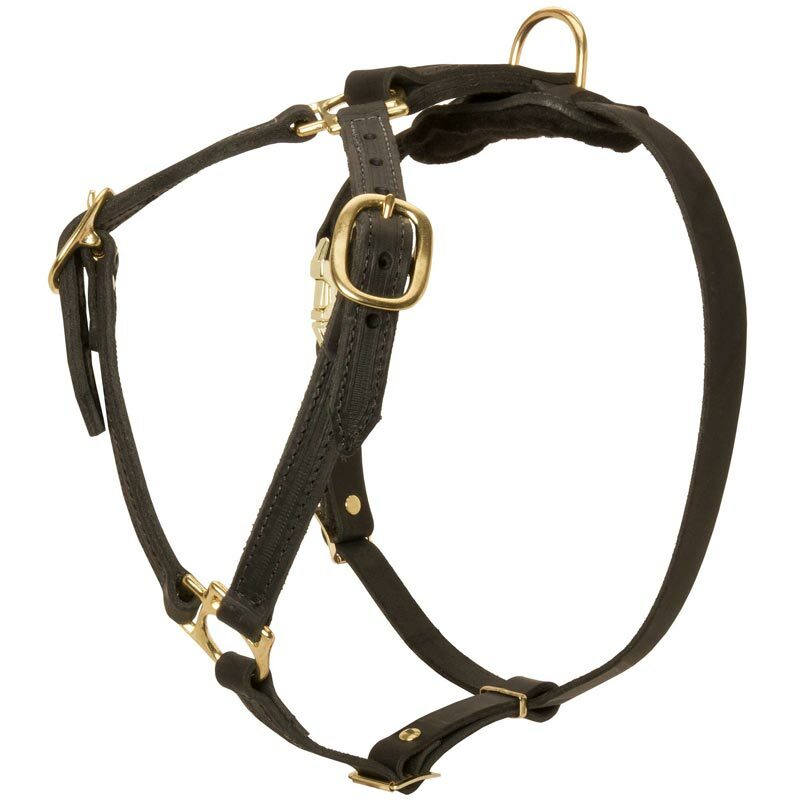 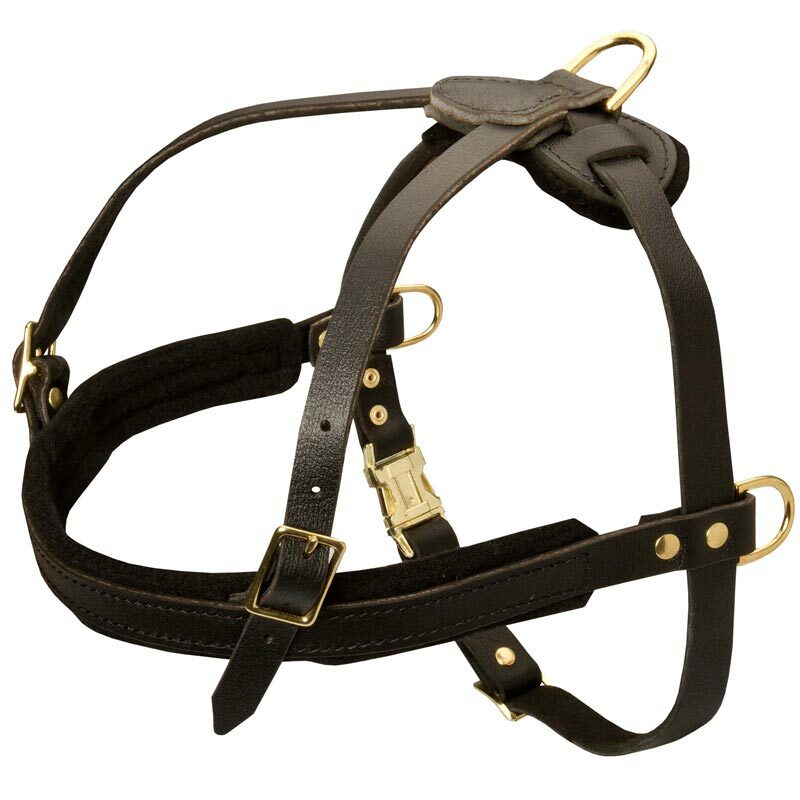 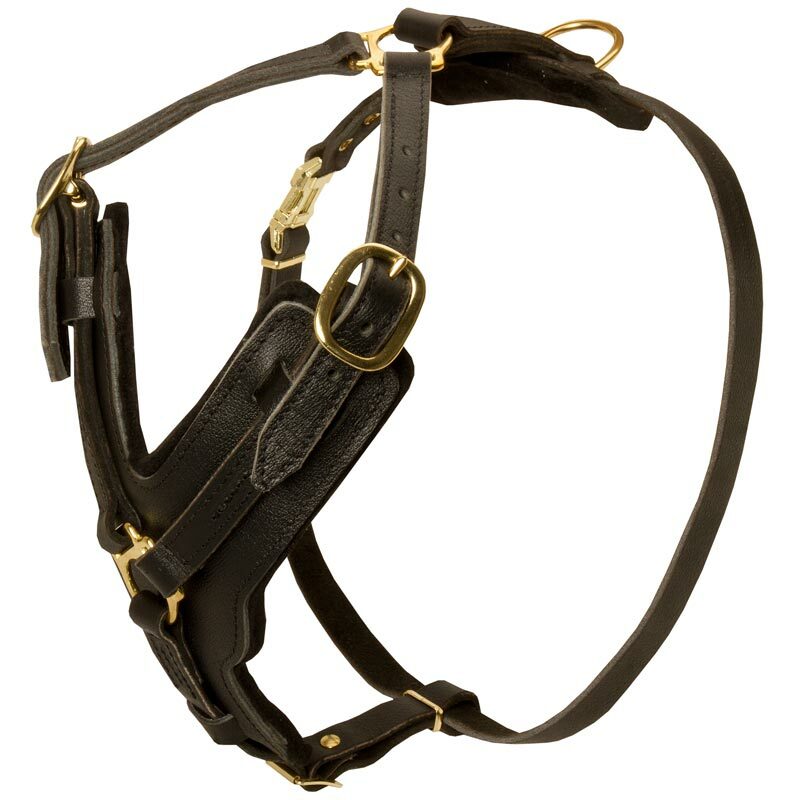 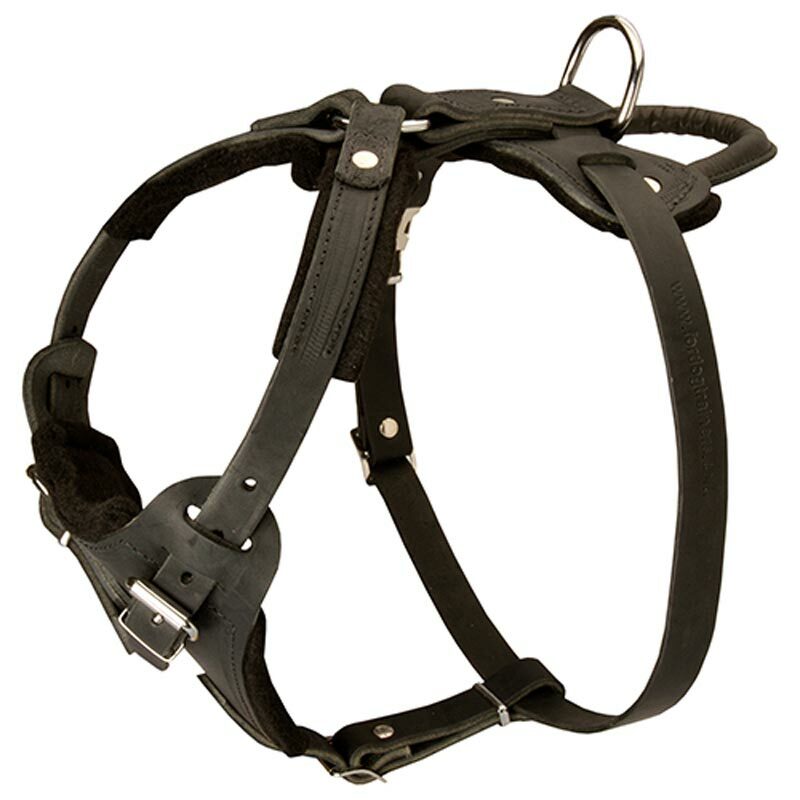 This leather harness is very comfortable for such big dog breed as Rottweiler because it is made with wide Y-shaped chest plate that evenly distributes the pressure upon the dog’s chest. 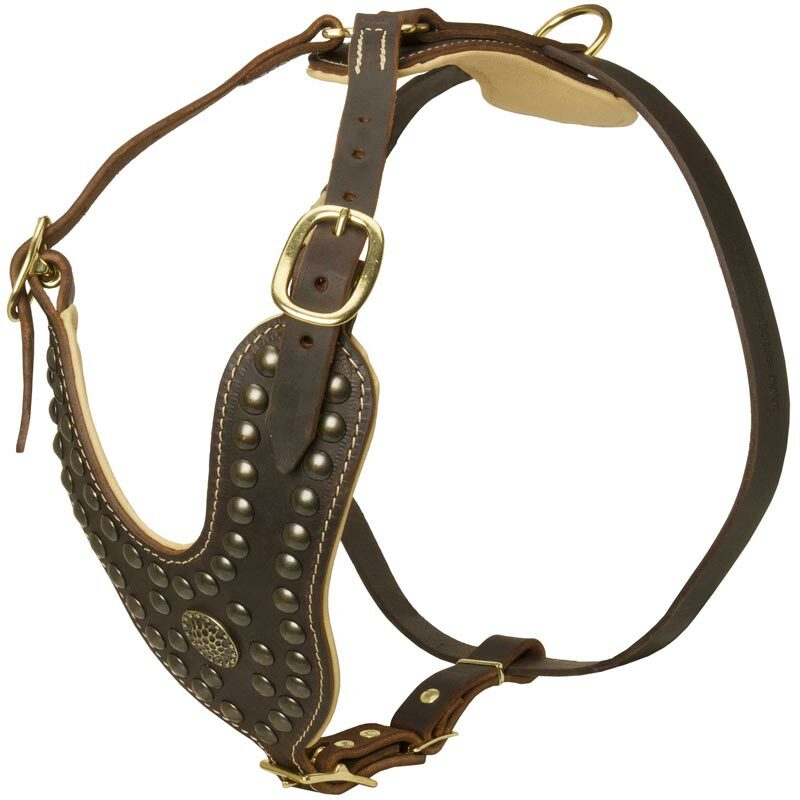 In addition it has special soft thick felt padding on the front chest part and on the back straps that protects your Rottweiler’s skin from rubbing and irritation.